A federal district court in California has denied a plaintiff’s motion for reimbursement of expert witness fees in a trial over excessive fees in a company’s 401(k) plan. 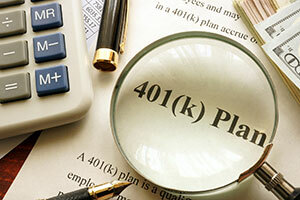 In 2007, beneficiaries of the Edison 401(k) Savings Plan sued Edison International and the plan’s fiduciaries, claiming that the losses suffered by the plan were from breaches in their fiduciary duties. The plaintiffs took issue with specific mutual funds that were added to the plan that were priced higher then materially identical institutional-class mutual funds that were available at the time. The district court dismissed the claims regarding funds added to the plan in 1999 as untimely because ERISA requires that breach of fiduciary duty claims be brought no more than six years after “the date of the last action which constitutes a part of the breach or violation” or “in the case of an omission the latest date on which the fiduciary could have cured the breach or violation,” 29 U.S.C. §1113. The Ninth Circuit affirmed, but the Supreme Court vacated and remanded, holding that a fiduciary duty is a continuing duty and plaintiffs could allege that a fiduciary breached that duty by failing to properly monitor investments and remove imprudent ones. On remand, the Ninth Circuit dismissed those claims, ruling that the beneficiaries had failed to raise the argument in lower courts. On the remaining claims, the district court ruled that Edison was liable under ERISA, because it was imprudent to include 17 mutual funds in its 401(k) plan that could have been obtained at a lower cost. The parties agreed that the damages between 2001 and 2011 were about $7.5 million and Edison was ordered to pay over $7.5 million in compensation. The parties later agreed that Edison would pay $5.6 million in additional damages and $5.8 million for attorneys’ fees and costs. Attorneys for the plaintiffs, Schlichter, Bogard & Denton LLP, filed a motion seeking $964,212 in reimbursement for experts that it utilized during the ten years that it litigated the case. The law requires that a losing party must pay attorneys’ fees but does not require them to pay the expert witness’ fees unless they can show that the expert was “crucial or indispensable in establishing the prevailing party’s case or defense.” Judge Stephen V. Wilson of the United States District Court for the Central District of California denied the plaintiffs’ motion, ruling that the plaintiffs hadn’t met the requirement to show which of the experts’ work was “crucial or indispensable” to their successful claim. Wilson wrote that “Plaintiffs’ partial victory last year represented only a fraction of Plaintiffs’ damages claims.” He noted that “Plaintiffs’ motion concedes that much of the expert work was unrelated to the sole claim.” Wilson also noted that the court did not rely on any particular expert in reaching its decision.